If you’re a newbie to trekking in the Himalayas, there’s a whole world of wonder waiting for you. Depending on your fitness and interests, Himalayan treks for beginners could take you into the green valleys of Himachal, into the stark beauty of Uttarakhand, across the desolate landscapes of Ladakh, or up into the soaring trekking peaks in India. Here, in the upper reaches of the mountains, there are glaciers that rumble as they move, snowy peaks swathed in mist, and icy high-altitude lakes to be discovered. Himalaya trekking for beginners is one of the biggest attractions for amateur trekkers from around the world. The Nagtibba trek is one of the top Himalayan treks for beginners because it takes you to the top of Nagtibba at 10,000 feet, but has an easy trail. You’ll trek through forests of oak with orchids dotting the trail. Goats and woolly sheep graze on the slopes around you, and you’ll see high Himalayan peaks like the Bandarpoonch peak. At night, you’ll camp in open meadows under clear starry skies, amidst wild mint and fragrant shrubs. The summer and winter months are the best time to attempt the Nag Tibba trek. The gorgeous Valley of Flowers in Uttarakhand is a world heritage site located within the Nanda Devi National Park in the far interiors of Garhwal Himalayas. As far as Himalayan treks for beginners goes, the Valley of Flowers is a favourite. 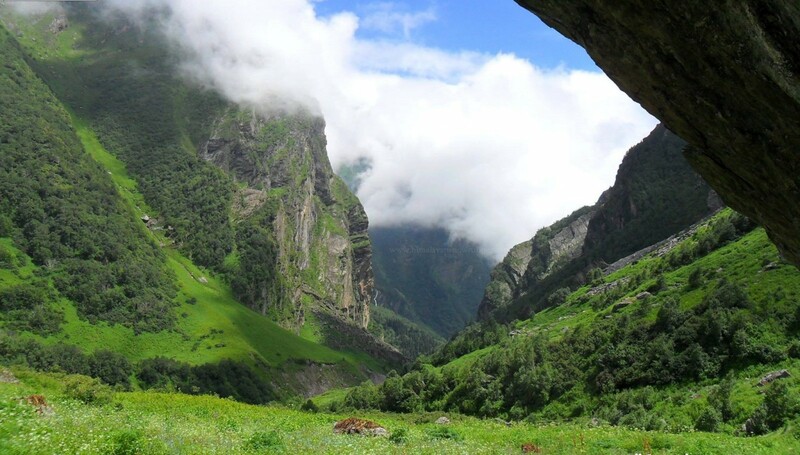 You’ll be walking along easy paths, and will have a taste of river-crossing and a slightly steep incline at Hemkund Sahib, but you’ll also get to explore waterfalls, glaciers, towering mountains, mighty rivers and quaint villages. The months of July and August are the best times to undertake this trekking trip for beginners as the flowers are in full bloom during this time. 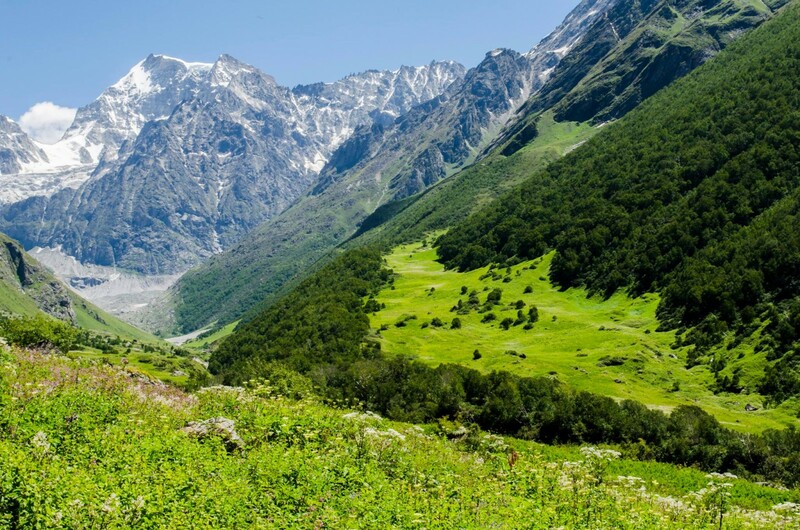 The Malana-Chanderkhani Pass trek is one of the top Himalayan treks for beginners, because it takes you through evergreen meadows, cool pine and oak forests, and picture-perfect valleys. You’ll have a chance to see the legendary village of Malana, with its unique lifestyle and ancient architecture. En route, you’ll see the snow-covered peaks of Pir-Panjal and the Parvati mountain range. The Chanderkhani Pass Trek takes you high up to a pass at about 12,000 feet, long the top of a ridge. This route also involves negotiating some tricky descents, crossing a gorge, and walking beside the gushing Beas river. With a host of experiences and pleasant weather, the Malana-Chanderkhani Pass trek finds itself on a list of the top trekking trips in India for beginners. Chopta is a quaint hill station in the Kedarnath wildlife sanctuary and is a gorgeous Himalayan trek for beginners. It is popularly known as the 'Mini Switzerland’ of India, thanks to its rolling green hills and lush meadows. It’s a top choice for trekking trips in India for beginners. The climb is moderately easy, but poses a challenge when it comes to Chandrashila peak. The peak is a summit of 13,123 feet and is home to Tungnath, the highest Shiva temple in the world. The best time to visit is from April to November, but snow treks to this location are also popular. The Dayara Bugyal trek is considered to be one of the most beautiful Himalayan treks for beginners, with visitors describing their experience as nothing short of a fairy tale. 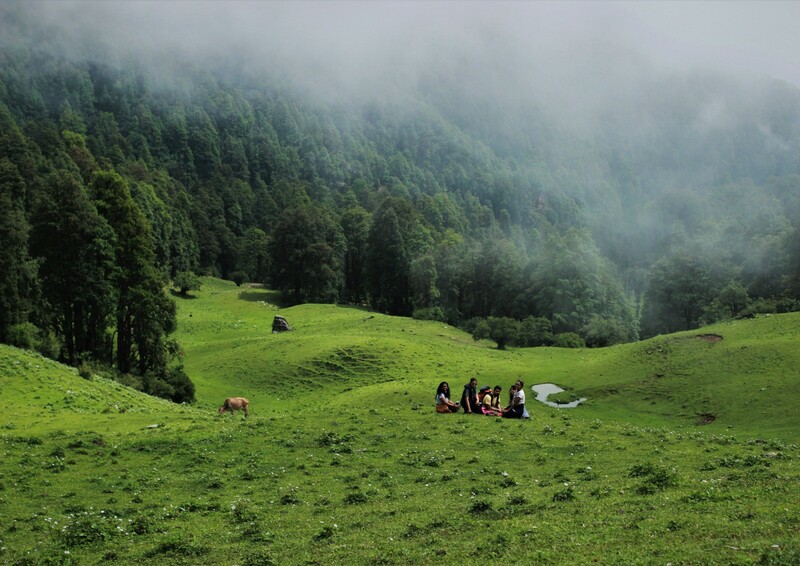 This easy trek takes you up to one of India’s most beautiful high-altitude meadows, surrounded by towering Himalayan peaks, and offers you the chance to camp in scenic locations at every stop. The trek is recommended for everyone i.e families with children, nature lovers and adventurers alike. 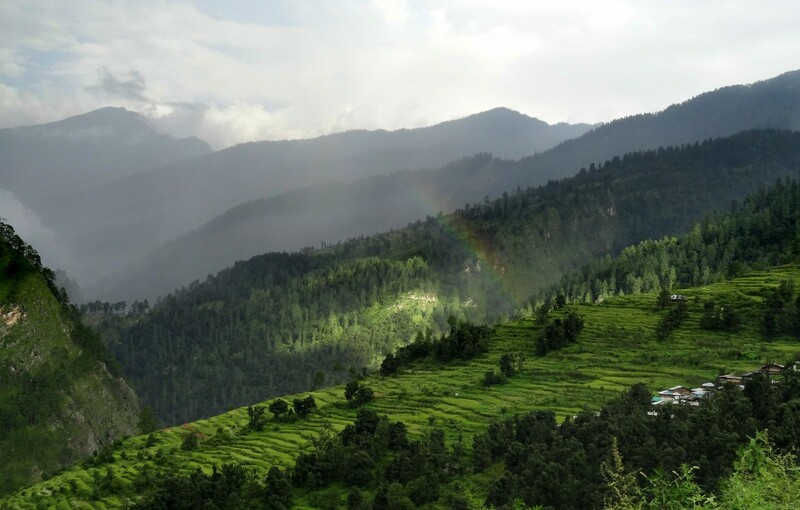 Located about ten kilometres from the bustling city centre of McLeodganj, this trek in Kangra Valley is an easy but gorgeous adventure and is one of the top trekking trips in India for beginners. There are rocks to scramble over, peaks swathed in mist, and cold air all around. Trekkers visit sacred mountains, ancient temples and quaint 'pahadi' villages hidden in valleys, waiting to be explored. This adventure gives you breath-taking, 180-degree views of some of the most famous peaks in India. The Triund trek will take about four hours to complete and the view of the evening sky from Triund is a good enough reason to pitch a tent here for the night. If you’re a beginner, this is one of the top Himalayan treks for beginners in Himachal Pradesh. 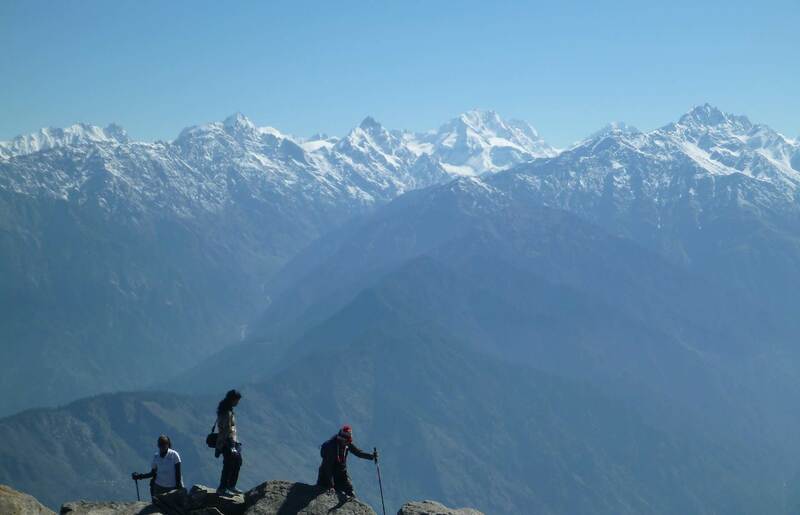 This is a top Himalayan trek for beginners because it is easy, and starts from close to Manali. You trek past glaciers, up lushly forested slopes, passing the tree line, seeing mountain streams dot the landscape, and up into meadows where shepherds bring their flock to graze on the sweet grass. The emerald-green Beaskund lake is the highlight of this trek, and it is great for taking postcard-perfect photographs. All this is accompanied by views of surrounding peaks such as Shitidhar and Friendship Peak in the Kullu region. Kedarkantha is a beautiful ridge peak in the Tons River Valley and is a great Himalayan trek for beginners who are fairly fit. At 12,500 feet, the summit offers stunning 360-degree views of some of the highest Himalayan peaks like Bandarpoonch, Swargarohini, and Black Pearl. The Kedarkantha trek lets you camp at Juda-ka-Talab, one of the prettiest campsites around, set alongside a small pond amidst oak and pine forests. The best time to visit is between December and March, when the landscape turns from beautiful to spectacular. A snow trek to Kedarkantha will take you along a trail that is completely covered with thick, pure white snow. This Himalayan trek for beginners starts at Setan, close to Manali, and takes you up to an idyllic campsite next to a lake, from where you can see the Kullu Valley. 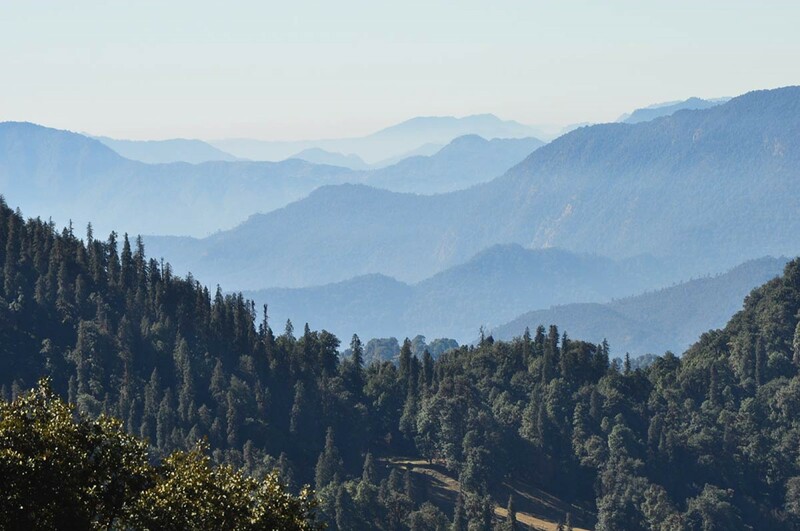 You’ll trek along a path through deodar and pine forests, and besides a flowing stream. You will camp under starlit skies and wake up to panoramic views of the Kullu Valley. It’s not a hard trail which is why this is one of the top trekking trips for beginners in Himachal Pradesh. Located in the paradise that is Parvati Valley, the Kasol trek is one of the top trekking trips for beginners in Himachal Pradesh for its location and many attractions. You’ll find yourself in some of the prettiest campsites, with views of pine forests and oak stretching out all around. There are clear rivers to sit by, rocky patches to scramble over, and therapeutic hot springs to take dips in. Kasol attracts backpackers from around the world, and you’ll find delicious food and plenty to see and do here, making this one of the top places to go trekking for beginners in India. This top trekking trip for beginners takes you to Grahan, about 10 kms away from Kasol, and about ten times more secluded than these crowded destinations. It’s an easy trek, except for one or two steep patches, and is a perfect Himalayan trek for beginners in India, and for those looking to escape the crowds. This weekend trek near Manali offers you a chance to walk through fragrant pine forests, pass through quaint villages, and listen to the sound of the Parvati river that flows by alongside. This trekking trip for beginners usually begins at Kasol, and lets you get away from the crowds and into the peace of the mountains. It can be a steep climb, but you’ll cross green fields, orchards filled with fruit trees, and the blue Parvati river nearby. At the top, you’ll be able to see Malana village, Chandrakhani Pass, and some of the famous snow-tipped peaks in the distance. It’s one of the top Himalayan treks for beginners because it takes you through cool, pine-scented mountain forests and into nature in one short climb. The Bijli Mahadev route is one of the top Himalayan treks for beginners, because it takes you along an easy route to a temple that looks down over stunning views of Kullu. The temple has a 60-foot iron staff that conducts lightning during storms, and is worshipped by locals from around the region. This trekking trip for beginners takes you through pine and cedar forests to the Matikochar ridge and onward to the temple. From the top, you can see paddy fields, fruit orchards, and peaks in the distance.